Take a minute and consider your dream job. Chances are that it includes copious amounts of travel to far off locales like the Himalayas, Hawaii’s North Shore, or New Zealand. It’d probably also include a creative look at local culture while immersing yourself in plenty of blood-pumping action sports. And, of course, you’d do your part to make the world a better place by working with local nonprofits along the way. 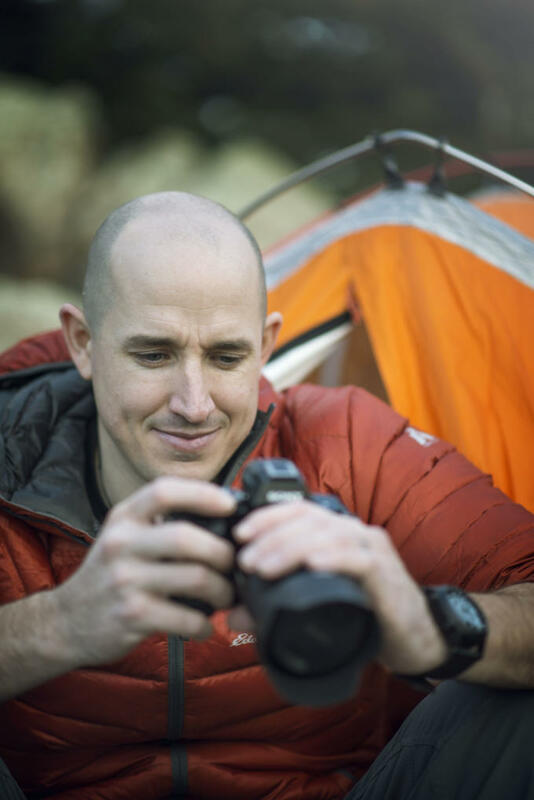 Meet Colby Brown, professional travel and adventure photographer, educator, and all-around good guy. 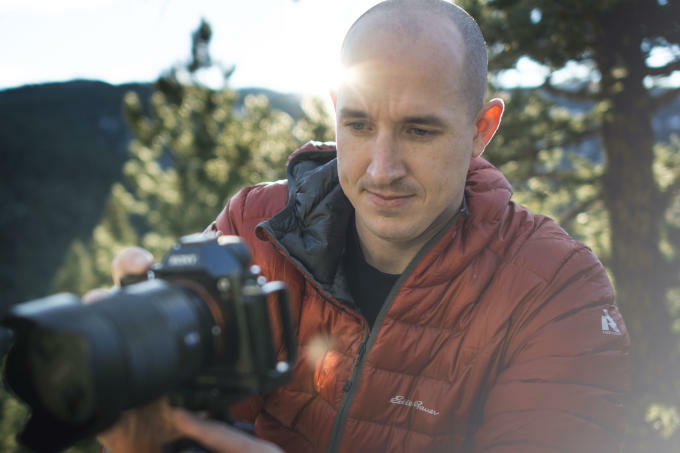 When he’s not globetrotting for National Geographic, the Sierra Club, or the Red Cross, he calls Denver home. For Colby, Denver’s the best of both worlds—the cosmopolitan excitement of the city, with the myriad outdoor actives offered by the Rocky Mountains right outside of town. And, in a way, the town matches his style to a tee: outwardly casual yet intelligent, refined, unpretentious, and always classy. 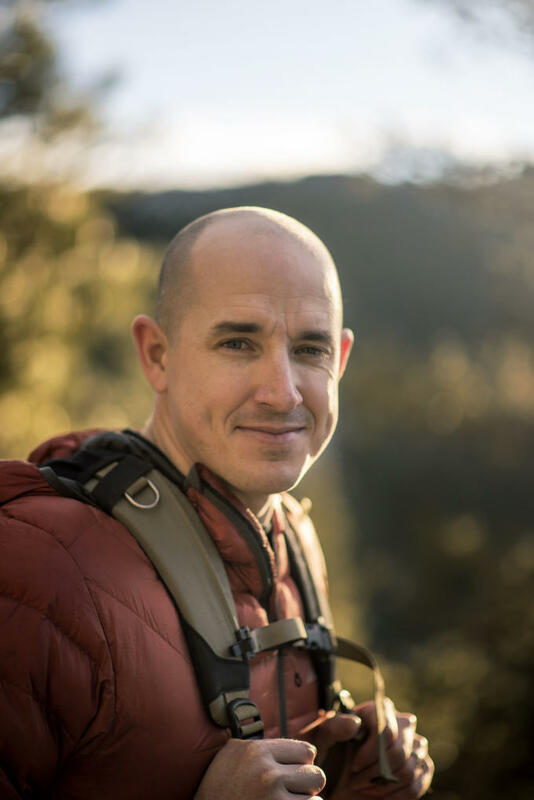 We caught up with Colby on a recent morning to talk about the benefits of being bald while traveling, how success is all about happiness, and the three key elements to his personal philosophy. I get up, get my computer started, and check my email really quick. Then I go downstairs, get my son ready for school, and get him breakfast. My wife helps, too. My son’s school is close to our house so my wife walks him to school. Once they leave I go into work mode and head back up to the office. Regarding work mode, how do you personally define success? I think at its fundamental level, success means happiness in what you’re doing. The truth is that for me, I love the business side of things, so finding success, momentum, growth, and creativity—they all kind of work together when I’m in a happy place. To put it another way, if you’re passionate about what you do and you’re happy with what you’re working toward, that’s success to me. Do you think how you present yourself and your personal look contribute to your success? I think it does in a couple different ways. For one, I feel more productive if I’m not in my pajamas. I’ve taken the time to have a shower, shave, get ready, and prepare myself, so there’s that element. 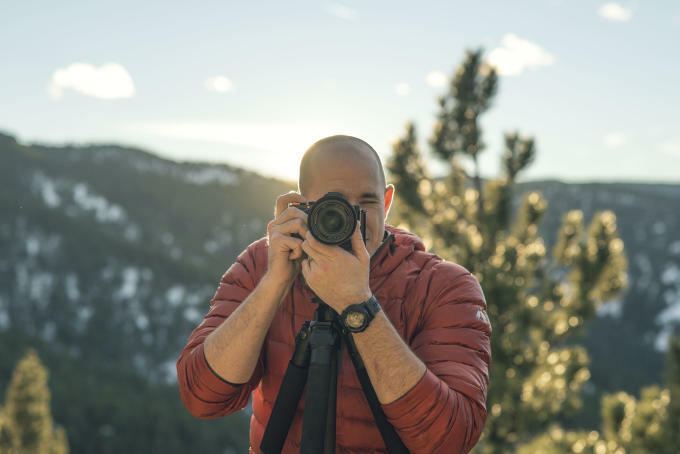 On the exterior side of things, presentation and perception are huge in the business world, especially for photographers, when you’re talking about networking or business meetings. How you look and how you present yourself is fundamental in having others look at you and see you how you see yourself. Do you have any grooming habits that work well for you day-to-day? The fortunate thing is I don’t have a ton of hair, so my grooming habits are a reflection of where I’m at or what I’m doing at the time. For instance, if I’m going out to live in the Himalayas for a month, or I go to work in Sub-Saharan Africa, my grooming is essentially matched to that. Then, when I come out of that, I have a nice warm shower, a shave, and that’s the chance to step back and reflect on the experience and step back into your own shoes. You keep your head shaved. Are there certain routines that work for you? Yeah, I shave my head twice a week. I’ve been doing this for about eight years now. It’s just a much easier way to go about traveling, especially to the places I go where you don’t know when your next clean shower is going to be. What goes into your personal style, or your day-to-day styling? Do you have a favorite part of your wardrobe? I’m a tall guy; I’m 6’3”, athletically built, and about 225 pounds. For me, I really enjoy the taller, more athletic cut shirts, and I wear shorts and flip-flops a lot, actually. It kind of goes against the perception, but it’s my comfort zone. Here in Colorado it can get cool, so I wear a puffy down jacket a lot, too. Is there one thing that people should know about Denver? It’s a very outdoorsy, very active community here in Denver and Boulder. If you love the outdoors, if you love going for bike rides and hikes, it’s the perfect location. The weather is very temperate and people are very enthusiastic to be out there. It’s nice to have so many beautiful trails nearby. It’s hard to envision living anywhere else. Is there one thing that you can’t live without? I’d say my family. My son is three-and-a-half years old and my wife and I have been married five years. They’re the driving force behind everything I do creatively, professionally, and personally. Do you have a personal philosophy that’s helped drive you to your success? I think the easiest way is to wrap it up in three words: be humble, honest, and thankful. Those really help drive me personally and professionally throughout my career and throughout my life. You want to be humble and not overly arrogant or overly confident. It’s good to be thankful for the opportunities that you have. And be honest—we live in a digital age where it’s too easy for people to see through fakeness. Those three monikers always bring back the right perspective.